THIS IS IN RESPONSE TO A RECENT ARTICLE IN THE CANYON LAKE FRIDAY FLYER. 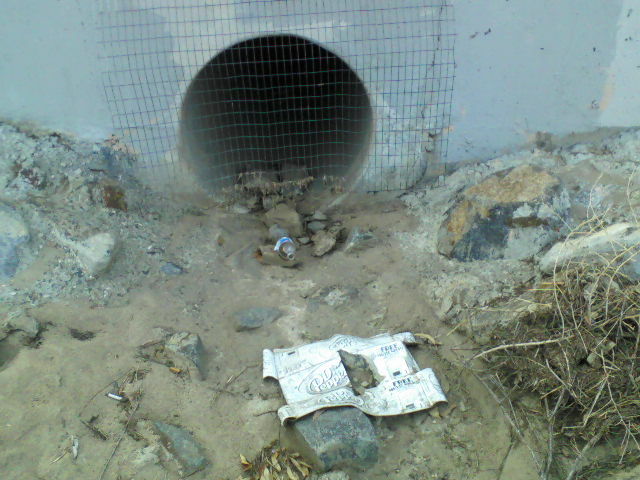 An recent article talks of a group of teens that recently performed their community service requirements by approaching “wildomar city council officials” for permission to clean up Heritage Park in Wildomar. 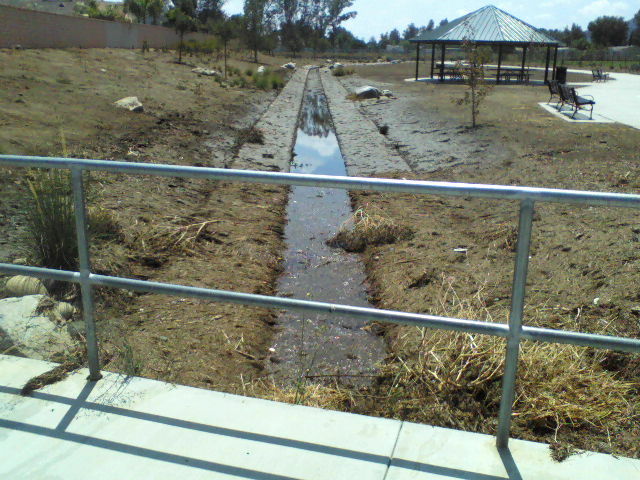 Once again city officials bury their heads where the sun don’t shine, like they did with the Eagle Scout Project that re-constructed a dog park in the middle of a storm water channel. Although one has to applaud the individuals for completing the requirements needed to graduate high school this group also needs a big dose of reality. This group should be able to “Handle The Truth” as they are members of what is considered to be an elite group from the Temescal Canyon High School IB Program (International Baccalaureate Diploma Program) who according to their website is all about “Preparing Students for Success in Higher Education and Life in a Global Society”. The International Baccalaureate aims to develop inquiring, knowledgeable and caring young people who help to create a better more peaceful world through intercultural understanding and respect. 1. Furthermore, this park is often overlooked in Wildomar for other larger parks, which bring in much more revenue due to their services, such as snack bars and baseball fields and the like. 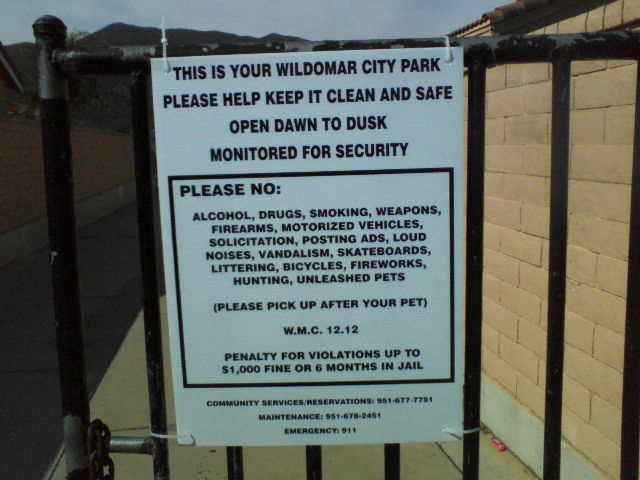 Wildomar Parks do not generate revenue for the city. The city collects in excess of 300 thousand dollars annually in taxes specifically to maintain these parks and programs for the public use. (Sports teams are supposed to be charged monies required to provide the extra maintenance required to keep those specific facilities usable for all, these same sports team are also supposed to pay a subsidized share of the cost of field lights which allows them to play after dark when the general public is banned from the park as they close at dusk). Very top states clearly parks close at dusk which is 30 minutes after sunset. 2. 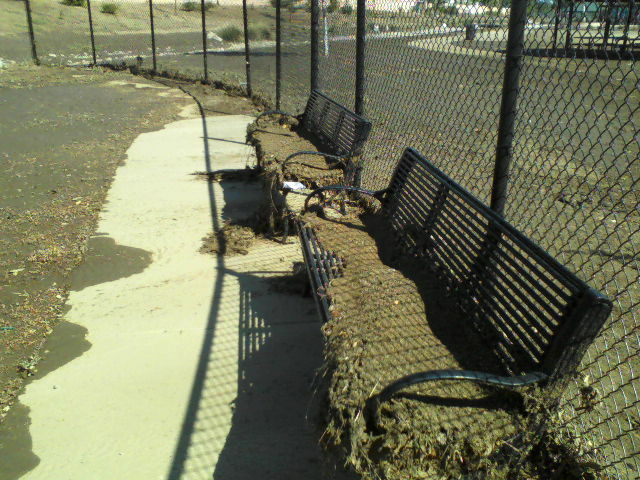 The poor little park has been neglected by the city, and is in a serious state of disrepair because of recent floods. Nothing is recent about the damage that occurs with every rain event, big or small. 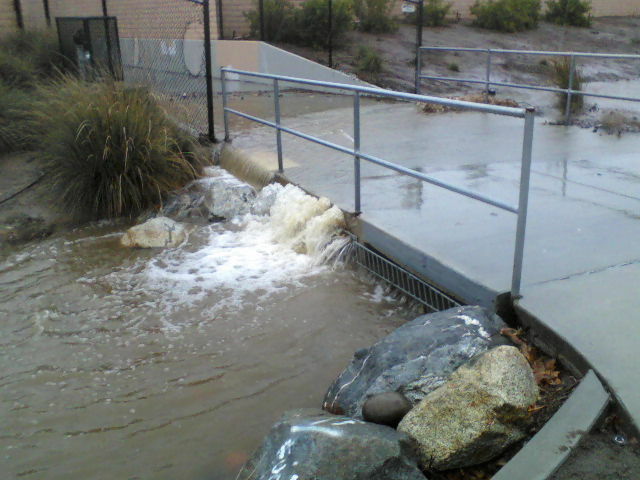 This is after 3/4 of an inch fell overnight. 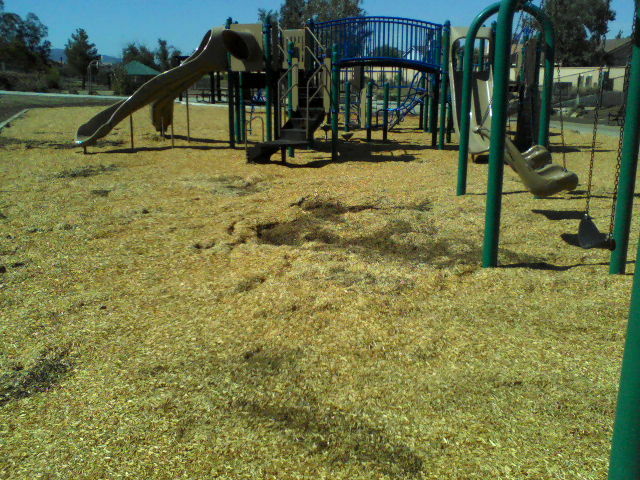 The above is the aftermath of a major rain event in September which left the bark in the Tot-Lot floating. This is the same area in which the teens are sitting on the equipment. 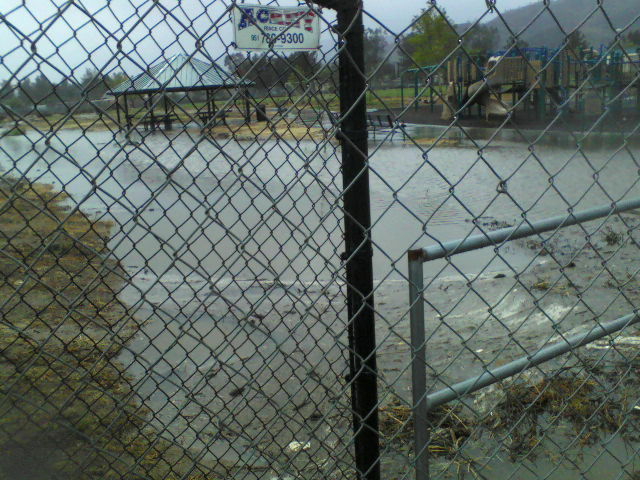 This park has since its inception been subject to flooding. Over the years with approval by the County of Riverside more and more water was directed to this property from surrounding developments including Marna O’Brien Park. This statement should make the cities employee responsible for park maintenance feel like crap. This person prides himself in visiting each an every park on a daily basis, it’s the first thing he does daily, to insure that trash and dog poop left behind by inconsiderate slobs in picked up. 4. You see, the city has to find ways to make money off of the local populations, and so naturally they’ll focus on the larger parks to ensure a steady flow of income. A smaller park then, would receive less attention from the city, and so it is up to the community around the park to see what they would like to do with the public space. For what is supposed to be a smart group of young people they have a jaded view of how governments operate. This city has been approached in the past about allowing a group of citizens to operate as a parks commission in order to ascertain the wishes of the people, rather than being told what they need by council members. No amount of student or volunteer effort will ever correct this. This was a mild rain event. 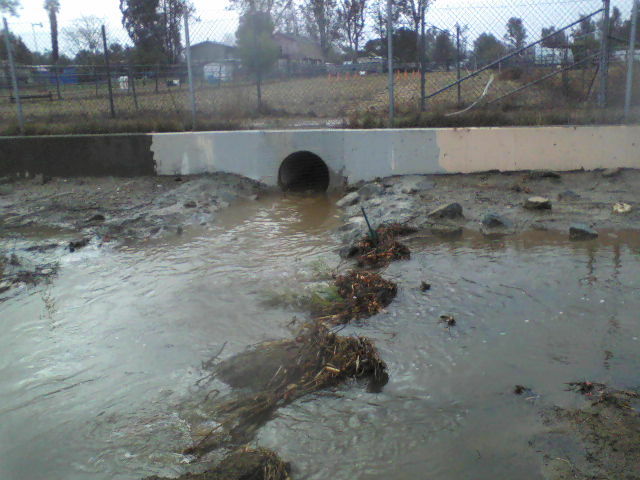 This entry was posted in Daily Ruminations, Parks, Shenaigans, Uncategorized, Water and Drainage Issues and tagged Wildomar City Council, Wildomar City Staff on December 26, 2014 by Kenny.